"This tsunami was the biggest wave we've ever surfed but we surfed it together." 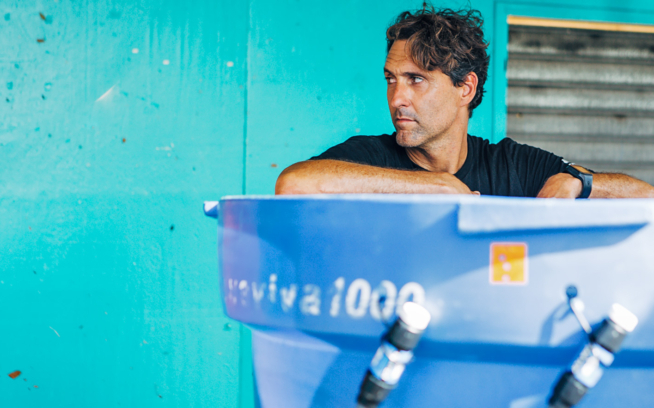 –Sergio “Pocha” Salas: surfer, earthquake & tsunami survivor and relief activist, Constitución, Chile. In a sense, all of us did surf this earthquake and tsunami together. While Pocha and others were in the impact zone, tsunami warnings echoed across the Pacific, and NASA claims that the 8.8 quake literally changed the length of our planet's day. Save The Waves would like to offer our sincere and humble thanks to all who came together in the face of this extraordinary disaster to help with relief efforts – from the international surf, environmental and humanitarian communities, to the Chileans on the ground who lifted themselves up, dusted themselves off and jumped in to help their fellow countrymen and women. Editor's note: Today's post comes from our friends at Save The Waves Coalition. If you didn't donate to the relief efforts the first time around it's not too late. Help Chile now with a secure donation at savethewaves.org. The first phase of relief was a resounding success. While Save The Waves Coalition is proud, honored and humbled to be a vehicle to deliver aid to these Chilean communities, true thanks goes to every donor, partner organization and supporter of this effort in every capacity. The success of these efforts is a direct result of an enormous team effort, one that goes far beyond any one individual, organization or agency. Save The Waves maintains a fierce commitment to protecting coastal environments around the globe for the benefit of local communities and future generations. By definition, we are an environmental NGO. We have no training in disaster relief or even humanitarian aid, but as fate would have it, the very coast that was hardest hit by this tsunami was also the site of our most successful environmental work – a region we have been fighting to protect since our inception. The vitality of these communities is the essence of our mission and sitting on our hands was not an option. Before this disaster, our Chilean supporters knew that Save The Waves would stand by their side in the face of environmental threats. Now they know that we’ll be there no matter what. Less than 12 hours after the quake and before news of the tsunami was clear, Save The Waves was in touch with Waves for Water, an organization that had provided emergency water filtration systems to Haiti. 48 sleepless hours later, significant resources materialized. Water filters were bought. Our Environmental Director, Josh Berry booked a flight to Chile (even though Santiago’s only international airport was still closed). 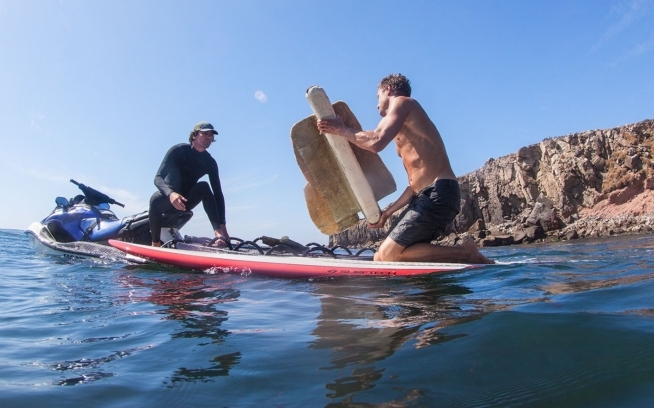 Professional surfers Greg Long and Kohl Christensen volunteered to join Save The Waves Ambassador Ramon Navarro to help deliver aid on the ground. Sparks turned to flames, and so began the relief mission. Many of you contributed with such a heartfelt sense of purpose – and that is ultimately the greatest source of relief – offering hope by showing solidarity. Save The Waves has always been proud to be a nimble organization. Agility and circumstance both played key roles in our swift response, but it was a genuine affinity for the people and coastline of Chile that fueled the movement, allowing Save The Waves to react within hours, and not days – faster in fact than many specialized NGOs. Although the ability to respond quickly is part of our organizational DNA, we truly hope that this situation is never repeated. Directionally, Save The Waves has no plans to conduct further disaster relief efforts in other regions, unless we are similarly well positioned to achieve success, and the long-term results are in line with our mission as they so clearly are in Chile. Far from the dusty, post-tsunami coast, a benefit concert was graciously hosted at Brushfire Records in Los Angeles and was further evidence that Chile is close to our heart. Largely the work of Chris Malloy and family, the evening featured an impromptu and intimate gathering of friends, surfers, artists and musicians coming together to raise funds and hope. Jackson Browne, Jon Swift, White Buffalo, Andrew Bird and Dawes provided music while the silent auction featured items donated from surfing/art luminaries Jack Johnson, Kelly Slater, Shepard Fairey, Thomas Campbell and Wolfgang Bloch. The event was a testament to the dedication and love we all hold for this special place. On a broader scale, it was incredibly uplifting to see the surf, art and music community come together, united by common cause, to accomplish amazing things. The first stage of relief has shown our best face and we thank all of you who have made it possible. The second phase of Save The Waves directed relief has begun, and is focused on rebuilding communities and empowering people. It carries with it a message of conservation, closely aligned with our mission to protect surf zones, as well as, their surrounding communities and ecosystems. In this second phase, focused specifically on the coastal region from Pichilemu to Cobquecura, we will stretch every dollar donated to help local Chilean leaders and community members clean up their coastlines, plant and tend organic vegetable gardens, provide tools and supplies to artisanal fishing communities and purchase construction materials for beneficial projects. Save The Waves is also implementing a small scale scholarship fund for outstanding students who promote environmental conservation and awareness. Once again, thank you from the bottom of our hearts for your continued support.